She looks too pure to be pink. 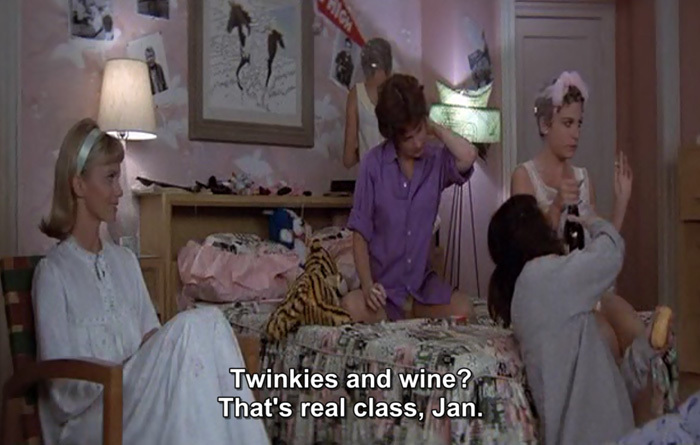 Twinkies and wine? That's real class, Jan. He got friendly holding my hand,well,she got friendly down in the sand, He was sweet, just turned eighteen,Well,She was good, you know what I mean. Don't you think they make me look smarter? 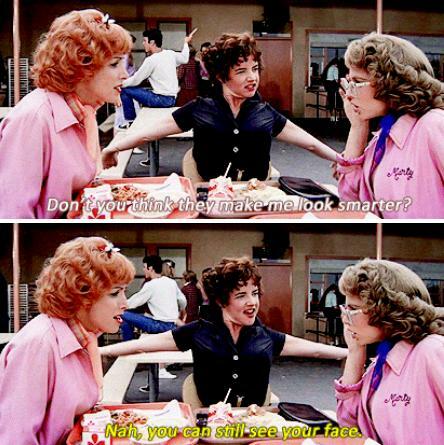 Nah, you can still see your face. 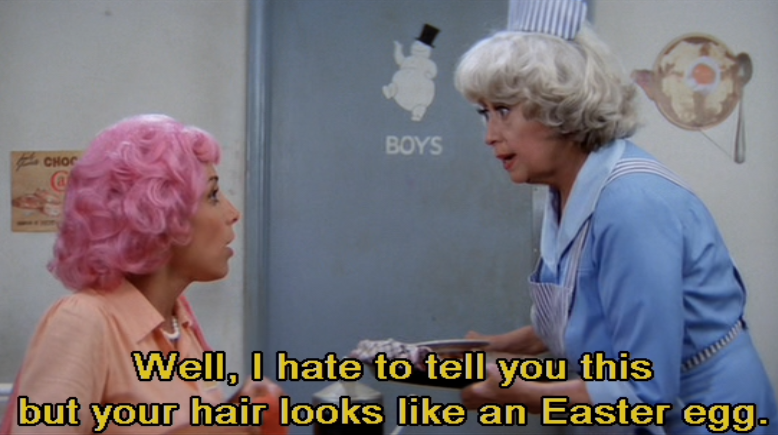 Well, I hate to tell you this but your hair looks like an Easter egg. Cheer up. 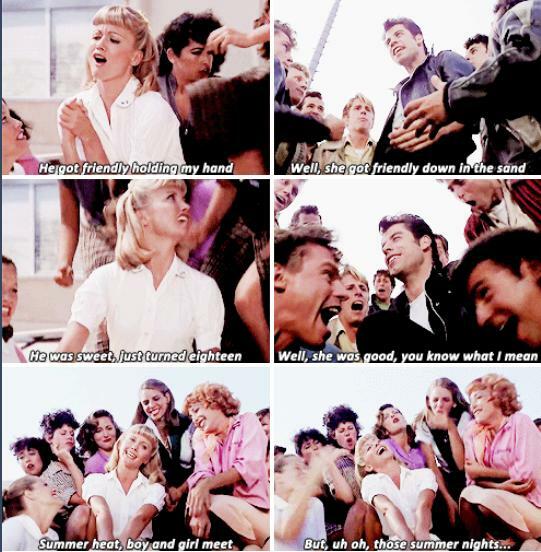 A hickey from Kenickie is like a Hallmark card.